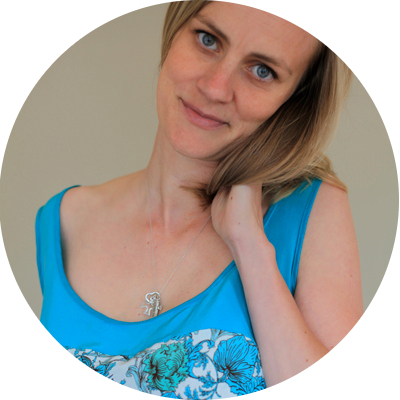 Wednesdays with Lynda: Introduction and Discount! First, let me begin by saying congratulations to Isidore on winning Fashion A-Z: An Illustrated Dictionary from last week’s giveaway! I hope you enjoy all of the illustrations and learn quite a few new things from this cute little book. Have I ever mentioned that I’m addicted to Craftsy classes? Oh… yes, I have. When I see a new class pop up or a fellow blogger mention how much they’ve benefited from some class they’ve taken, I can’t help but want to try it out. My video-a-week habit helps me move through these classes, but not nearly as fast as Craftsy seems to be putting them out (or I seem to be collecting them). 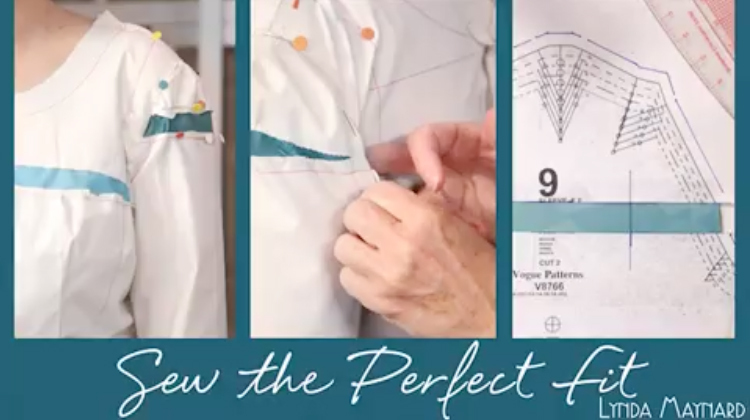 I’ve had my eye on Lynda Maynard’s Sew the Perfect Fit class on Craftsy for quite a while. I enjoyed meeting Lynda at Cañada College way back when, and I’ve gotten a lot out of her book The Dressmaker’s Handbook of Couture Sewing Techniques . It was only natural that I wanted to learn more about her secrets to getting a perfect fit. Not to mention that the pattern that comes with the class, Vogue V8766, is the same pattern Ann Rowley used for her knock-out lace dress in the Great British Sewing Bee finale. And, then, when I saw the results of the class on Goodbye Valentino (here and here) – it was just too much! I watched the Introduction video this week while I wait for my pattern to arrive by mail. It was fun getting to hear about Lynda’s start in sewing at a young age (with her mom’s pillow cases!) and her high school teacher who stressed the importance of good fit. She explained that this class is not about sewing techniques but instead about the importance of fitting. Based on the list of classes, my guess is that I will finish after ten weeks with a great pattern, but I’ll need to tack on a week or two (or three?) if I want a new dress. Seems worth it to me for a great fitting dress. Plus, it gives me more time to pick fabrics. The pattern suggests the dress be made from lace, eyelet fabric, lightweight linen, satin. What are your thoughts on the ideal fabrics? I want a cute dress that I can get a lot of wear out of… Your input is very welcome! i’d love to win. i an getting better at fitting but still have lots of learn! Unfortunately, I don’t have a class to give away. I wish I had that kind of sway over at Craftsy, but so far I’ve only been able to ask for discounts for you guys. Hopefully 40% off will be enough of a ‘win’ for us all right now? Oooh, I’ve had my eye on adding this class to my Craftsy class collection! Even though I’ve been sewing for decades, fitting is still challenging to me. So far, I don’t think you’ll regret adding thus class to your list. But, I’m still waiting on the pattern, so I haven’t been able to actually do any of the lessons. Let me know if you sign up! Oh, great to know! I’ll look for your pictures right now! And, thanks for the tip that I should be able to do much of the class on my own. They do seem to have a lot of classes that look really interesting. Unfortunately, now there’s no official flash support on Linux, unless you can get the HTML 5 video to work (which I can’t), none of their classes are viewable. Their tech support were very friendly but can’t offer any help with this. It’s odd that you pay as much as you might do for a DVD course but they won’t let you download it to watch offline. That would really help those of us with low (or no, especially outside of work) bandwidth too. I asked about this but didn’t get any answer. I have this Internet problem as well. I use my iPad and I wish it was a one off download of the videos onto my iPad so that I don’t use up all of my Internet. I could still interact with the class as that uses a small amount of data. I too have just purchased this class and waiting for my pattern to make its long journey “down under”. It will be fun tagging along with you! I haven’t started to think about fabrics yets, I will be keen to see what you choose. Let me know how long it takes to get your pattern. All of my previous Craftsy class patterns have shown up within two weeks, but this time I’m worried about our mail. Things haven’t been coming like they should after the move to Seattle. I’ve watched this class all the way through and it’s great. I especially like her ideas on sleeve fitting. I haven’t actually got as far as fitting the pattern on myself yet. I didn’t like the darts at the top of the sleeve but so still thinking about how to change that. Trouble is, she uses those for fitting. I have signed up, waiting for the pattern. I am in Seattle also. (Queen Anne). Awesome! Still no pattern here, but I’ll email the you and the other Seattle seamstress when it comes in and I’m going to get started!